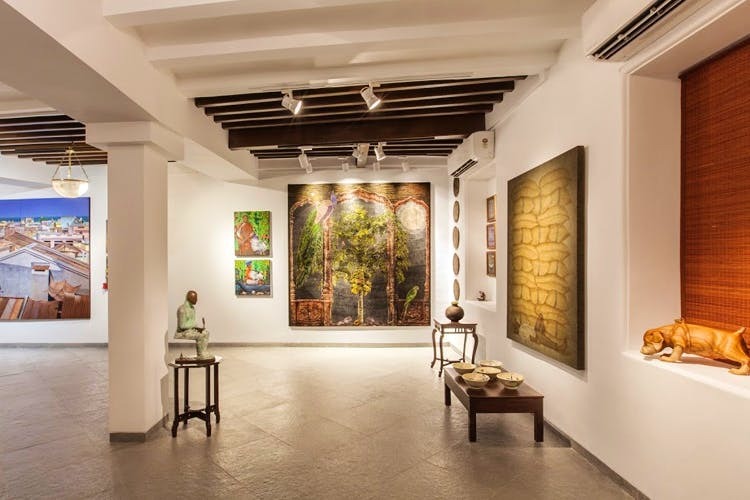 SoBo is now home to a new art gallery you can check out the next time you go on an art tour in this magical part of the city. The Southern part of the city is no stranger to art galleries and museums. Being the torch bearer of the cultural setting in the city, SoBo only gets brighter with this addition. Called Rukshan Art, the gallery is housed in a heritage building placed between Kala Ghoda and Ballard Estate. According to them, the gallery works on a module that is unique to the art scene in Mumbai: a few months of the year are dedicated to bringing in works from artists that will be displayed in the gallery for an exhibition ‘undated’. These works will be on view for art lovers and art collectors for a couple of months so the artist also enjoys the longer time frame for his/her work to be on view. The rest of the year will be dedicated to specially- curated, thematic and time-bound shows. Although the number of artists is limited to nine, the gallery wants to accommodate a lot more since they have worked with them over the years.Therefore, the format is suited the gallery’s need to showcase as many artists as they can. The gallery will be showcasing artists like Soumitra Gouri, Girjesh Kumar Singh, Prathap Modi, Prasad, Hardik Kansara and more. We can never have enough art galleries in the city. While SoBo has the scene going for it, we’d love art galleries to open up in the suburbs as well.